Testimonials - Jones Construction Services, Inc. Since Steve gutted and remodeled our kitchen over 20 years ago and did an excellent job, we knew Steve was the only contractor we wanted when we needed additional work done this year. Steve took an ill-conceived and poorly designed part of our house, and turned it into a masterpiece. We now have a beautiful master bathroom, laundry room, and a hobby room, with tons of new storage areas and closets that were not there before. Steve came up with a genius design plan, and he implemented it from start to end, and it was finished well under budget. Steve is honest, knowledgeable, fair, was always considerate of our needs, and he's a master craftsman. Do not hesitate to call Steve for whatever you need done. We won't use anyone else. Steve, thanks once again for a job well done that far surpassed anything we could have imagined. I purchased a home in the Montrose area and my garage was not finished on one side. I found Jones Construction through the newspaper so I did not know how it would go. Steve showed up to the house a few days after I first contacted him and gave me a quote that same day. He finished the job in 2 days and did a fantastic job. I am very happy with his work and guidance through this project. I will definitely use his services in the future. Steve remodeled our bathroom to include a roll-in shower. In spite of very detailed proposal of plans, we were pleasantly surprised daily. has been done right & looks good. make it happen! Good job. Being new to the Delta area, I was at a loss for finding a reliable, trusted contractor (past experiences were negative). I worked with an individual from Crawford in line with my job duties. Since she and her husband were local to the area, she recommended an HVAC person, who in turn recommended Jones Construction. Together they completed installation of in-floor radiant heat and door and window replacement in a recently purchased 30+years home. I cannot speak highly enough of the professionalism, timeliness, and excellence in doing the work! I am ecstatic with the differences and would recommend him to anyone looking for an honest, fair, and respectable contractor. Excellent work! We had a deck and a pergola put on to the front of our house and we love it. Steve listened to what we wanted and made helpful suggestions. He used excellent materials and construction was done in as short a time as weather & such would permit. The electrician he recommended, also, did wonderful work. Thank You, Steve!!! Steve just came and put new windows in my 80 year old house. They look great and I'm excited to have something that will be more energy efficient! Steve did all of this without me having to take off work, and to top it all off, he let my dog out of her crate when he was done and turned off a space heater that I had accidentally left on. That's service! "Steve's the only contractor I know I can just show a job to and he just takes care of it without me contantly holding his hand. That is worth a lot to me." "My experiences with Jones Construction Services have been more than exceptional. When my original contractor raised his bid by $30,000.00 and I was up against a deadline, I was overwhelmed. Upon meeting Steve I felt relieved and knew he was someone who could be trusted. As a matter of fact, I went Time and Materials with him and never regretted it. Jones Construction Services saved me not only money but a lot of grief. To say Steve went the extra mile would be an understatement. My Dairy Queen looks beautiful thanks to Steve and Jones Construction Services. I have recommended him to numerous businesses and individuals who have been as appreciative of workmanship and intergrity as I have." 1. He organized the project well - always looking forward to make sure that materials and equipment would be on site when needed. 2. When there were construction issues, and there alway are, Steve always notified me and presented a solution which was compatible with the remodel design. 3. He has a very through understanding of construction and the construction process and strives for quality construction that will stand the test of time. 4. The quality of his work is superb - from rough construction to finish work. I would recommend Jones Construction Services for any remodel project and have full confidence that he would perform admirably on any new construction project." "Good Workmanship, Integrity, Reasonable Prices: These are the reasons we have used Jones Construction Services for the 11 years we have lived in Colorado. Work included inside and outside projects- building decks, roofing, electrical, remodeling, cabinetry, plumbing- we have been very satisfied with the results." "It is difficult to say enough good things about Steve Jones and Jones Construction Services, Inc. Steve remodeled our kitchen, dining, bath and laundry. The small space that we had to work with demanded a creative approach to our home's remodeling project. Steve provided those creative designs and did an excellent job of turning his designs into reality. Throughout the project, Steve provided innovative, yet workable and practical solutions as well as an extremely high level of workmanship and professionalism. He was consistently here when he said he would be and his work came in on time, on budget. We are very well satisfied with his work and do not hesitate to recommend him to anyone." "We were looking for someone to remodel our home. Steve Jones was recommended to us as someone who was honest and fair. So we met with him and shared ideas. He listened to what we wanted and then made very good sugguestions that enhanced the vision more without being too costly. Steve was a good communicator, he stayed with the work, he did an excellent job and he cleaned up the mess everyday! The subcontractor's he used also took pride in their work. 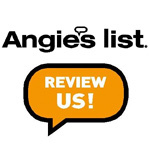 We were very satisfied and really enjoy our remodeled home."